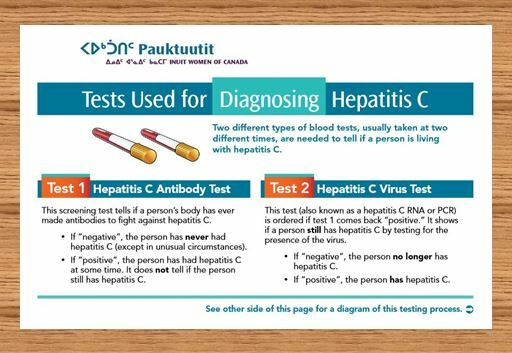 Pauktuutit Inuit Women of Canada has adapted some of our hepatitis C resources for Inuit people. To see selected English versions of these resources, click tabs above the photo. 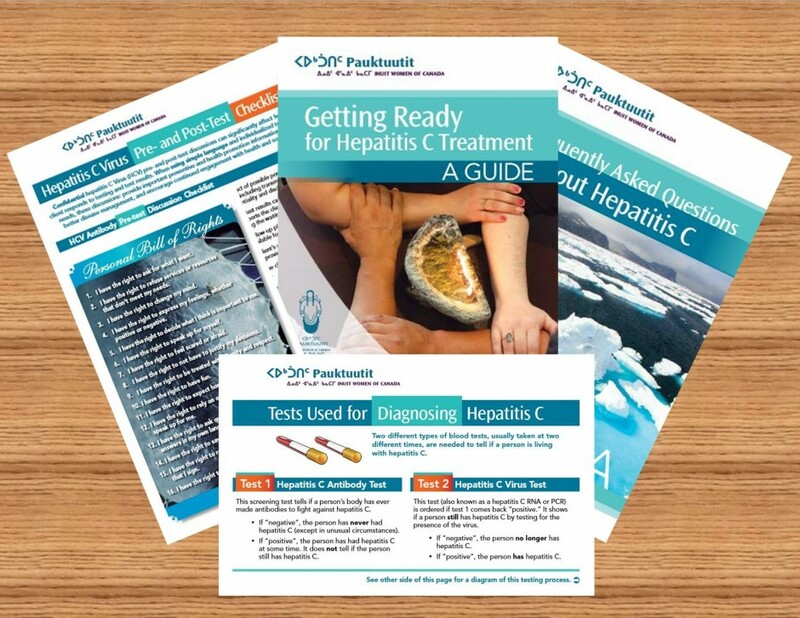 To see these and more resources in several Inuit languages see http://pauktuutit.ca/hepatitiscawareness/publications-listing. 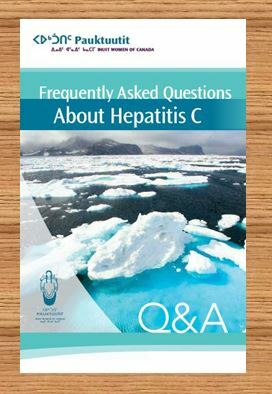 This booklet answers questions most often asked by people living with hepatitis C.
This two-sided page explains the two types of tests used to chick if someone has hepatitis C. Click to view or download. 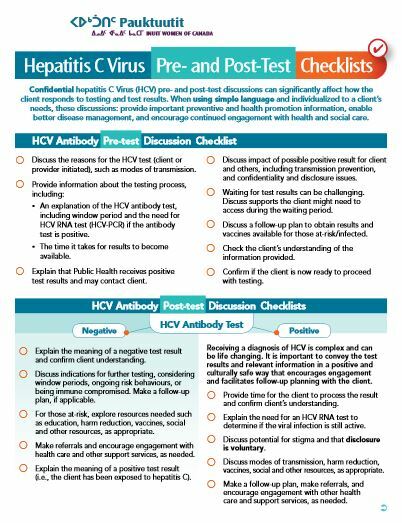 This provider page can be used before and after the HCV antibody and PCR tests. cure rates of about 95% for those who complete treatment. Speak with your provider to get more information. 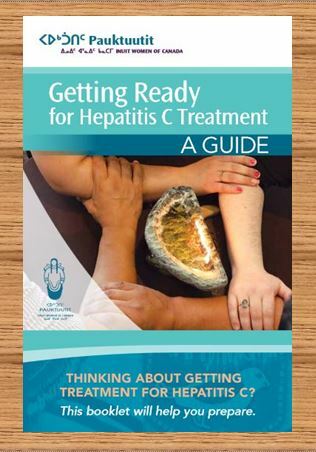 This booklet is still available, but pages about hard side-effects may no longer be relevant. If you have to travel or have other challenging life circumstances, some pages can be a good place to keep track of questions and other information about treatment. Click to view or download. 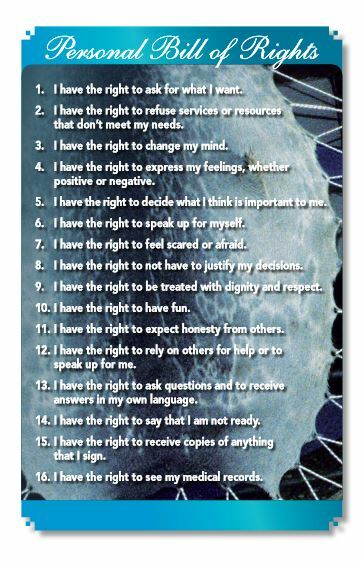 This personal bill of rights may help to speak up for the care you need.